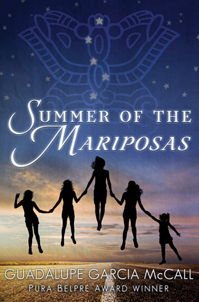 Summer of the Mariposas (Tu Books/Lee & Low Books), a young adult novel by Guadalupe Garcia McCall, combines Aztec and Mexican folklore with the plot of The Odyssey and elements from the movies Stand By Me and Weekend at Bernie’s – and it works. Odilia, 18, and her four sisters are struggling to get by after their father has abandoned their mother. They’re enjoying a dip in the Rio Grande near their Eagle Pass home when they come across a dead body – hints of the Stephen King short story The Body and the 1986 movie Stand By Me, in which four boys look for a corpse. The sisters decide to take the body to the man’s home in Mexico with a scene reminiscent of the 1989 movie Weekend at Bernie’s, in which two men drag around a dead body. Before they leave, La Llorona – the Mexican folklore figure who haunts waterways, crying for the children she drowned – gives Odilia advice about the journey and perils she will face in Mexico, similar to the trials Odysseus faced in Homer’s epic tale The Odyssey. Odilia – get it? – and her sisters face a siren named Cecilia, who lures the girls with pan dulce, and a one-eyed shepherd named Chencho. 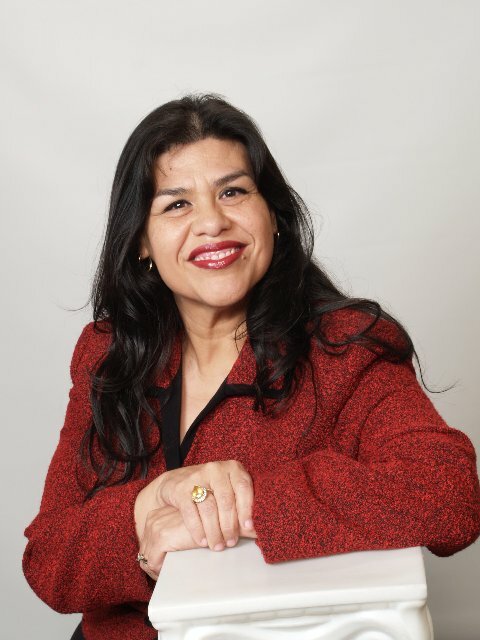 Garcia McCall also manages to get in the loteria, a quinceanera, chupacabras and the Aztec goddess Tonantzin (also referred to as the Virgen de Guadalupe) in the book. And, just like Odysseus, Odilia grows during her journey. The mariposas are in the title for a reason. Adults may find the symbolism heavy-handed, but the book is aimed at young adults and Mariposas is a good guide to get them through The Odyssey. The book has a light, amusing touch that makes it a fun read, and young Latinos will enjoy reading about their culture. Guadalupe Garcia McCall won the prestigious Pura Belpré Award for her first book, the 2011 young adult novel Under the Mesquite. Born in Mexico, she now lives in Texas and teaches at a junior high school. She talked to The Hispanic Reader last year about her works and inspiration. This sounds really….interesting, as only a combo of Stand by Me and Weekend at Bernie’s could!